Until 10 February 2017 is the public call for asking for grants and subsidies for those organizations that work in the social and health care. Requests must be submitted within the deadline. The aids are directed to non-governmental organizations registered in the Register of Official Agency of the locality where its central office is established. 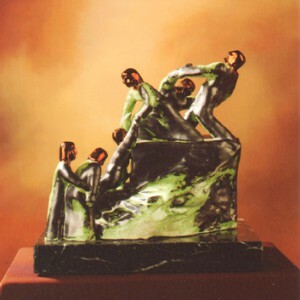 Among the objetives of the Foundation, it is included the award of a prize inspired in the spirit of solidarity, in order to consider publicly to role played by those natural or legal persons, groups or private entities that have developed an ongoing basic over time an outstanding performance in the field of solidarity. The awards are not monetary prizes, they consist on public recognition for the realised work and the delivering of an sculpture. Any person can nominate candidates providing enough information to valuate candidates merits. Applications must be sent Foundations home, located in Berastegui ST 4, 48001 Bilbao. Within the established deadline: From 1 June to 15 September.